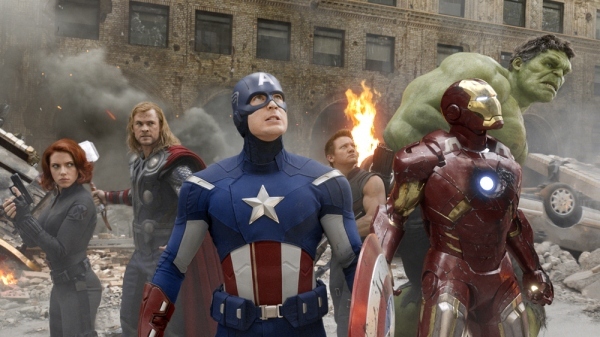 Watching The Avengers and Deconstructing Genre Movies | Worldbuilding Rules! What makes a good genre movie? For me, what adds up to a good film depends a lot on the genre, because each genre has its own set of expectations. I thought The Avengers was a superb superhero film. It’s fast-moving without seeming rushed; the stakes are high enough to match the power of its heroes; it has a good balance of action, drama, and humor; and most difficult of all, it does justice to 9 major characters in just 2 hours. Why is that such an astonishing achievement? 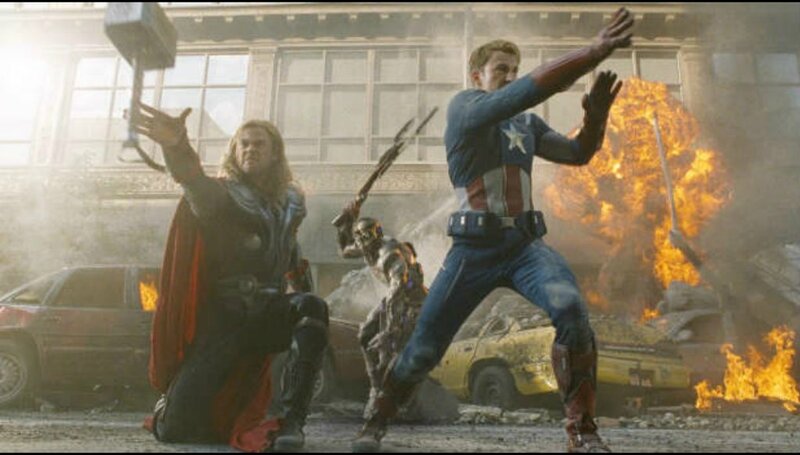 Well, just to compare 2 previous Marvel films: if you’re not a Thor comics fan, you might get to the end of Thor the movie without ever catching the names of his 4 warrior pals, let alone their personalities; and after Captain America, you might not remember anything special about Steve Rogers’ best friend or his scientist sweetheart. Yet Joss Whedon’s script for The Avengers makes even the new and secondary characters instantly memorable, from Hawkeye sitting in his sniper perch, to Coulson’s cakewalk through Tony Stark’s security, to Black Widow’s “interrogation” (trust Joss to give the girl the smartest fight scene in the movie!). Thor and Cap and stuff blowing up. Better (and probably harder) still, The Avengers plays as an effective sequel to over 10 hours of previous movies about these characters. The appearance of the SHIELD agents in several of those movies has prepared us to accept that these heroes all live in the same world (unlike Spiderman and the Fantastic Four, who apparently live in an alternate New York). But The Avengers also succeeds in bridging the very different tones of each of the individual hero movies. And it brings each character forward on his or her own story arc from those movies, while establishing a new set of relationships for Avengers 2. That’s a huge number of balls to keep in the air, and the movie never fumbles even one. Plus, a lot of superheroes pound each other for good and believable reasons, and a lot of big stuff gets blown up. That’s great superhero movie-making. But to make a good science fiction film – that calls for an entirely different recipe. 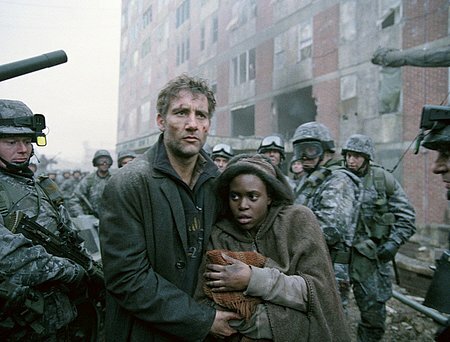 My two favorite recent SF films are Moon and Children of Men. These films are completely unlike in theme, setting and tone, but they share several key elements: production values are excellent (but not flashily expensive – an offense in itself); each story is based on high-concept SF ideas that have strong emotional hooks; each story works out the ideas through an entirely character-driven plot, rather than through big fights; and both scripts expect an intelligent viewer who doesn’t have to have everything spelled out, but can make connections for herself. This year’s dystopian SF hit, The Hunger Games, comes close to hitting all those marks, especially in the first half when we get a good look at the brutal divisions in this society. The second half unavoidably turns into a prolonged big fight, so I found it less thoughtful than the equally dystopian Children of Men. But only a little less; the Games part of the story does a pretty good job focusing as much on the emotional fallout of “kill or be killed” as it does on the combatants’ action movie skilz. So what makes a good fantasy movie? I’ll get to that in my next post, after I’ve seen Brave. What are your top SF and superhero movies, and what makes you rank them as the best? Update, 9/16/12: I finally got around to finishing my companion post on fairy tale movies. You can find Part 1 here, and Part 2 the following week. My favorite sf movies? Just off the top of my head, without mentioning some of the bigger, more obvious ones. Enemy Mine. It captured the emotions of these two lost people so well and showed their relationship build as they worked together to survive despite their differences which seem immense at first, but aren’t so very. I did question the cost effectiveness of interstellar mining with slaves, but Lou Gossett Jr, was fantastic. Cristina, thanks for stopping by and commenting. I tried to read your Avengers post, but couldn’t get the content on the page to come up, only the titles. That’s odd. Can you try visiting again? Grrr. Just did. Three different ways: through your link in the comment, through the link in your blog sidebar, and by scrolling back through “older posts” until I got to it. On the older posts list I can see the first paragraph, but every time I land on the post page, all I can see is the title line and the “11 comments” Can’t see any of the post itself nor the comments if I click on them. Pout!